This award is given to sites, that somehow are related to chemistry. The criteria to rank the sites are information content and design (layout, navigation, graphical design). 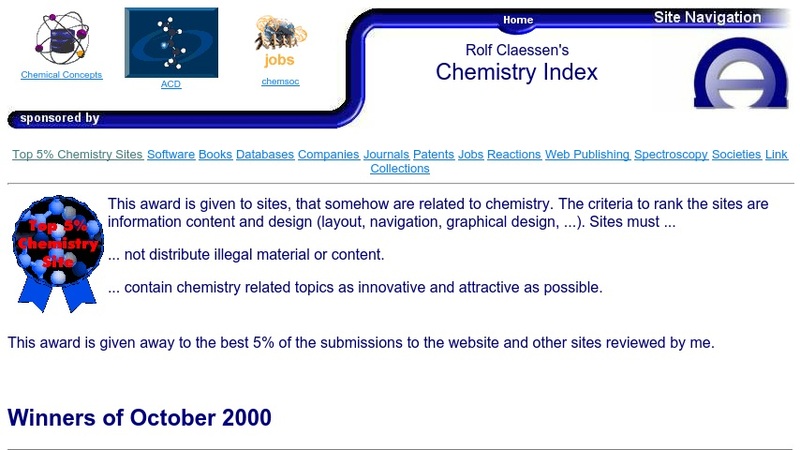 Sites must contain chemistry related topics as innovative and attractive as possible. This award is given away to the best 5% of the submissions to the website and other sites reviewed by site author.